While there may be rescued pets that fit seamlessly into their new families, every rescue I've loved has had issues. Romeo, Gabe, and Annie had aggression issues. 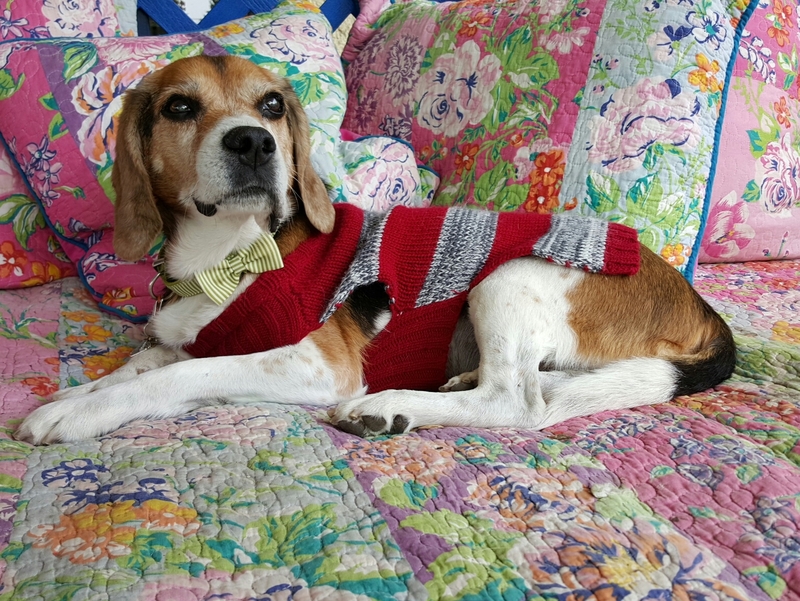 Archie had house training, fear, and anxiety issues. None of these guys had any leash manners. Buddy wore a belly band 24/7 because he was incontinent. And you know what? I couldn't have loved any of them any more than I did. I am a loud and proud supporter of animal rescue. 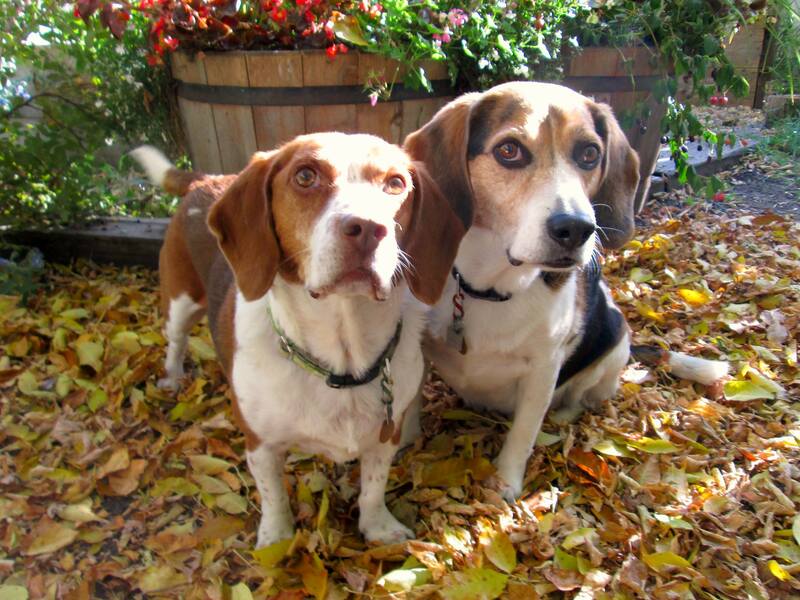 My world revolves around my two rescued beagles. I also fostered one other dog who was later adopted out; as well as one elderly beagle who needed care for just a little while, before he made his way to the Rainbow Bridge. Rescuing a pet is simply the right thing to do. According to the ASPCA, an estimated 2.7 million shelter dogs and cats are euthanized annually. Many of those pets are perfectly adoptable, but are put down due to a lack of space and resources. Rescuing is also the best way to shut down puppy mills, where dogs are bred repeatedly in filthy conditions. Rescuing helps to keep the demand for purchased puppies low. If no one buys the puppies, there is no incentive for these inhumane practices to continue. I urge everyone to consider rescue, with a caveat: do your research. Ask questions. Be prepared. Sites like the Humane Society of the United States extol the virtues of rescued animals, saying things like: "Most shelter pets wound up there because of a human problem like a move or divorce, not because the animals did anything wrong. Many are already housetrained and used to living with families." I think sugarcoating rescue animals sets families up for disappointment and failure. Whether a dog comes from a shelter or foster home, he won't automatically understand what his new family expects. Instead of touting rescue animals as problem-free, let's admit that they may need help working through some issues. And, really, that's not such a bad thing. As acclaimed pet photographer Illona Haus writes on her blog, overcoming issues together can help build a stronger bond between you and your pet. One of the most common issues with rescue dogs is house training. When a dog moves to a new home, with a new routine and rules, he may be confused about when and where to eliminate. The best ways to minimize accidents is to be prepared to house train from scratch, and start crate training immediately. There are four ways to fast track house training. finally, always use positive reinforcement. Never scold or punish your dog for having an accident indoors. Although some people are uncomfortable with confining their dog to a small crate, kennels provide a safe personal space, and also help with house training. Since dogs usually won't eliminate in their dens, crate training can help establish the routines for elimination. Crate training takes time and needs to be done slowly. 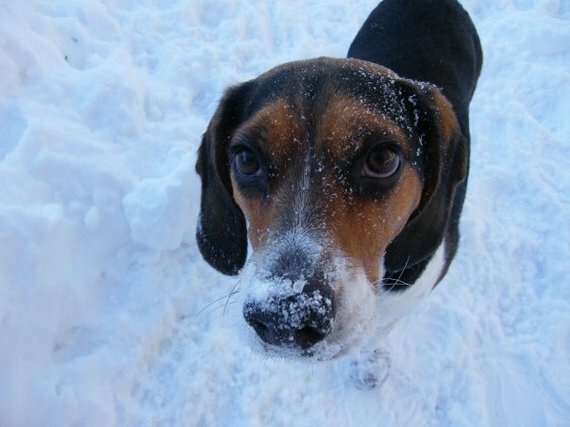 Start by tossing a few treats or toys inside, to encourage your dog to explore the crate. Once your dog is comfortable going into the crate, start putting his meals inside - but keep the door open to start. After a few meals, your dog should be more comfortable in the crate, and you can start closing the door while he eats. Gradually, you should work up to longer periods of time with the door closed. 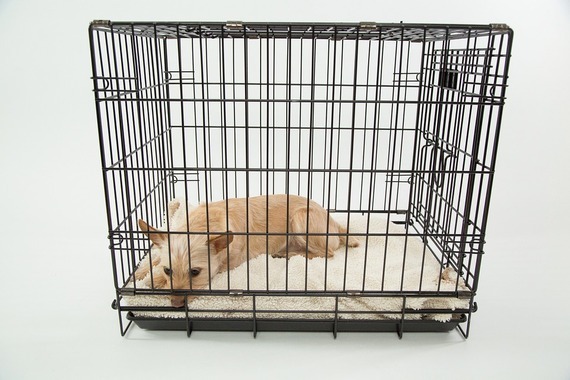 Over time, start leaving the room for short periods, so that your dog gets used to being in the crate without you nearby. Keep in mind that dogs should never be crated for long periods from the get-go. This excellent step-by-step guide to crate training also points out that older dogs (like your newly rescued pooch) may need more time to become accustomed to crates. Be patient and use lots of positive reinforcement. Dogs are eager to please, but it can be hard for them to transition from one kind of life to another. Even if a dog is described as being house trained or crate trained, be prepared to train from scratch. With luck, your new best friend will catch on in no time. Now what are you waiting for? Why don't you visit a shelter a rescue today? In doing research for this piece, I was impressed by the detailed guides for potty training and crate training at animalso.com. I reached out the site's editor, Alexandra Seagal, who was kind enough to answer some questions. What's the number one pointer to keep in mind when house training a dog? House training requires a number of essential things to be done correctly. But the most significant one is patience. If you can maintain patience, then it's more likely that you will be able to handle other important things, like keeping a consistent schedule, positive reinforcement, and persistent supervision. Are there any significant differences between house training a puppy and house training an older dog who has been rescued or rehomed? 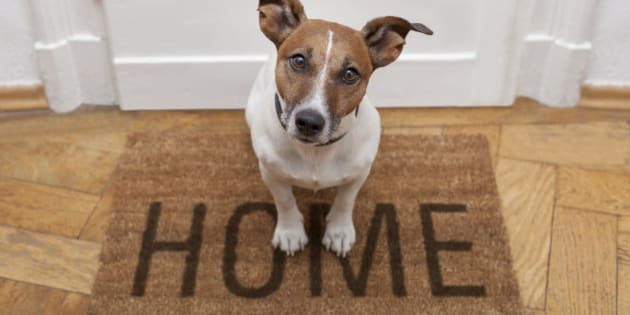 If a shelter dog isn't house trained, and it isn't due to a medical or behavioural issue, then the process is just the same as to house train a puppy. It could be even much easier to house train an adult dog as they have more control over their bladder, and they are more trainable. Would you recommend using products like the Potty Patch™ to house train a dog? would say if you live in an apartment, and if you are lazy (as I am :) ) to go outside with your puppy six times a day, this is a must-have product for you. One thing to note is that although most of these products come with an odor-resistant part, after a while they begin to smell bad. So be prepared to keep it on your balcony; or to replace it regularly. However, some dogs just don't like products like this. I recommend buying just one to try it first.